It’s been a while since I’ve brought you a Trove Tuesday post so it’s time for another. If you’ve only recently come across Western District Families, you may not know about Trove Tuesday. It was a blogging prompt started several years ago by an Australian geneablogger for fellow geneabloggers to share their discoveries found at Trove, the National Library of Australia’s wonderful site. 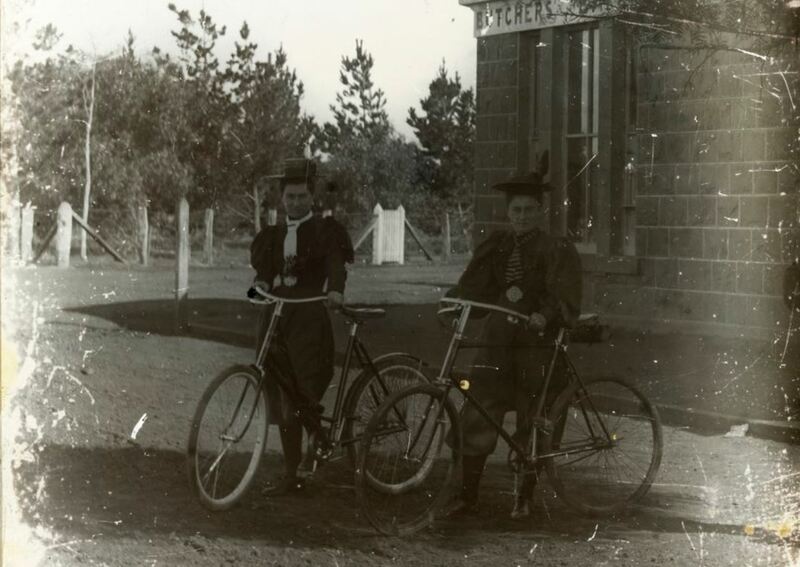 At one stage I had posted eighty-two consecutive Trove Tuesday posts. Most of the posts are about quirky and amusing articles I’ve found while researching Trove’s digitized newspapers. This week, it’s another of those quirky stories. 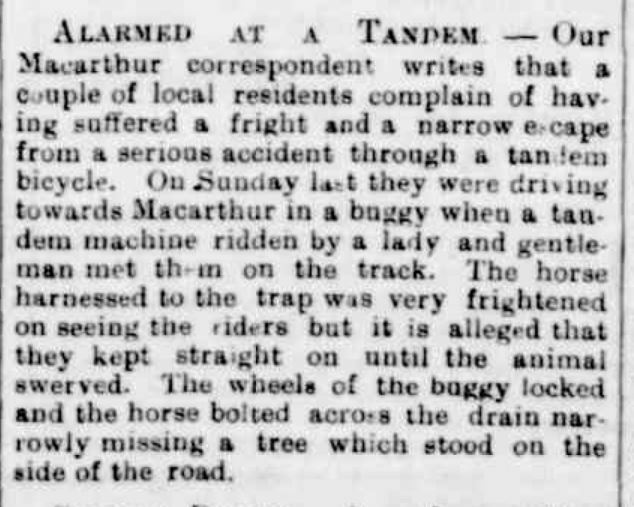 I have read many articles about horses coming to grips with the mechanised age, from shying at steam engines pulling threshing plants to cars sharing Western District roads. Not all had a happy ending. 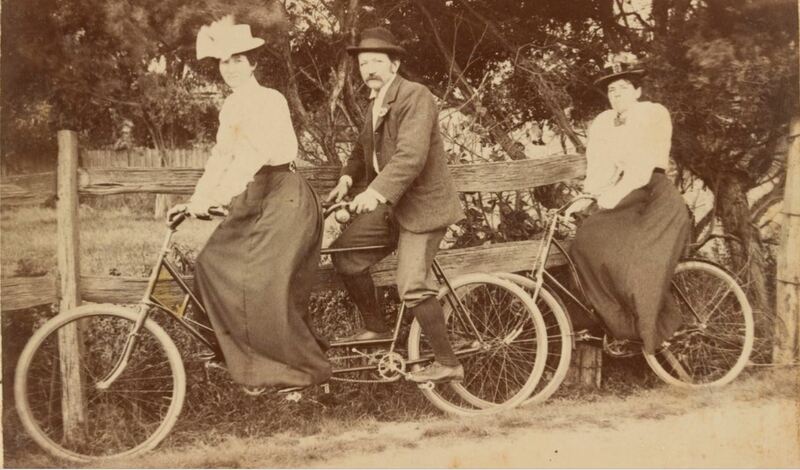 Bicycles were around from the 1860s in Australia, but it wasn’t until the arrival of the “safety” bike in the 1890s when cycling took off as an alternate form of transport. Even ladies fashion evolved as a result. 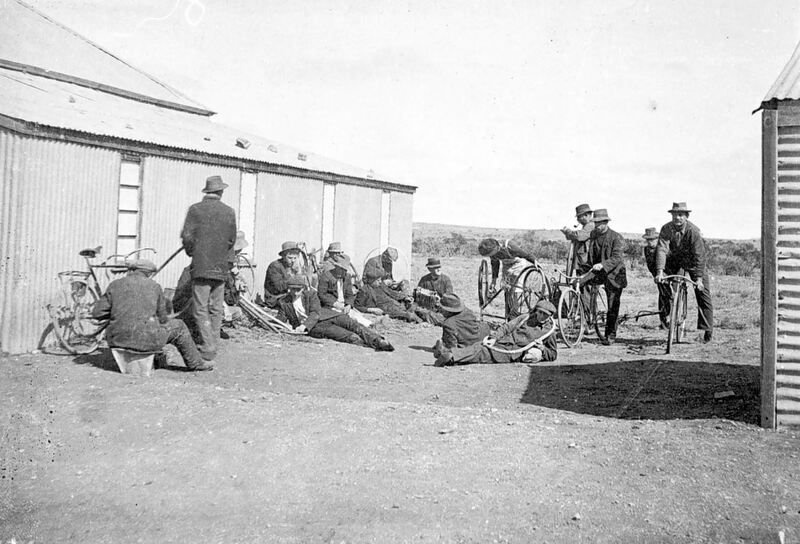 Bikes also became popular among shearers moving between sheds in the Western District.